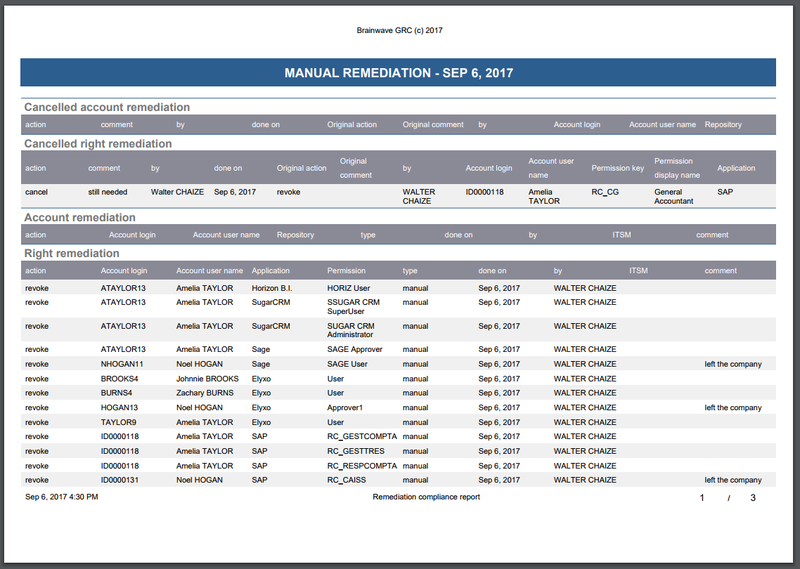 The remediation review add-on provides a full remediation process. 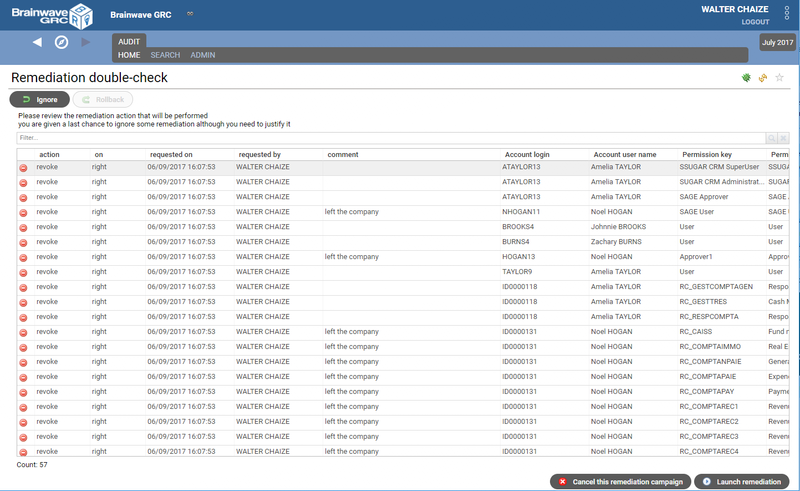 It automatically gathers all the pending remediation orders and launch a remediation process to enforce their termination. 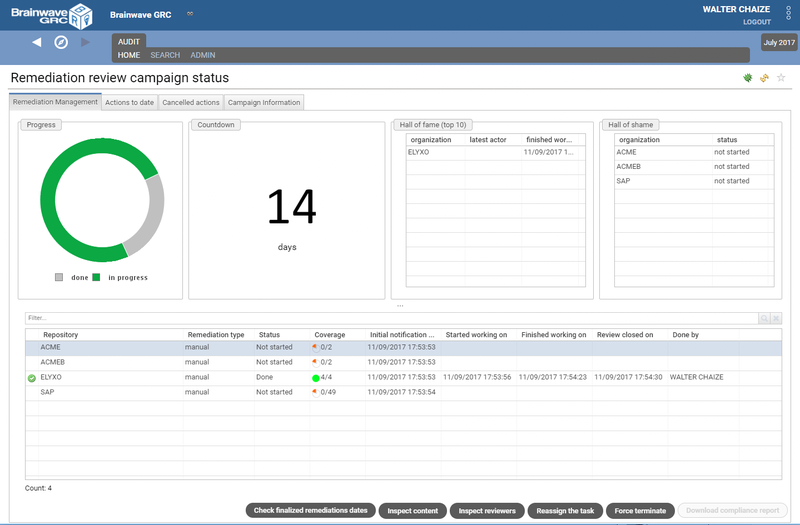 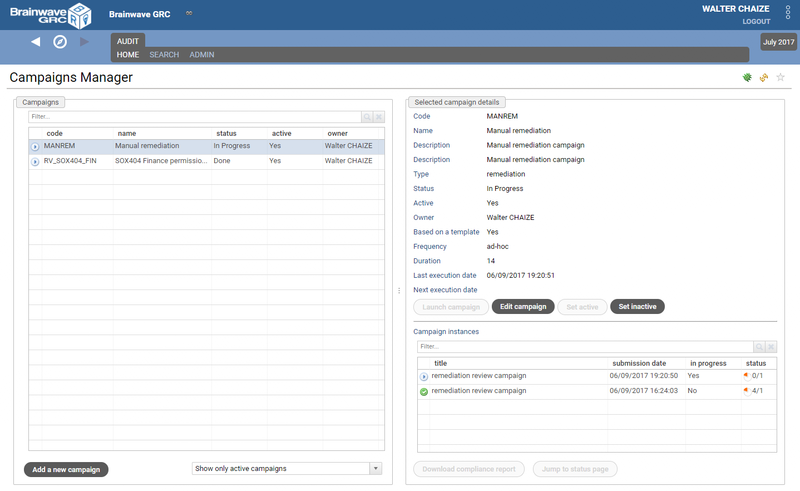 of the add-on integration add-ons such as the ServiceNow add-on. 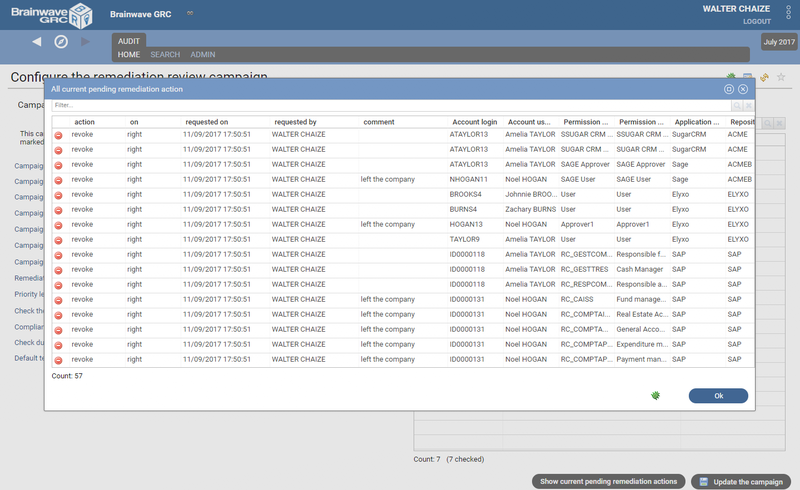 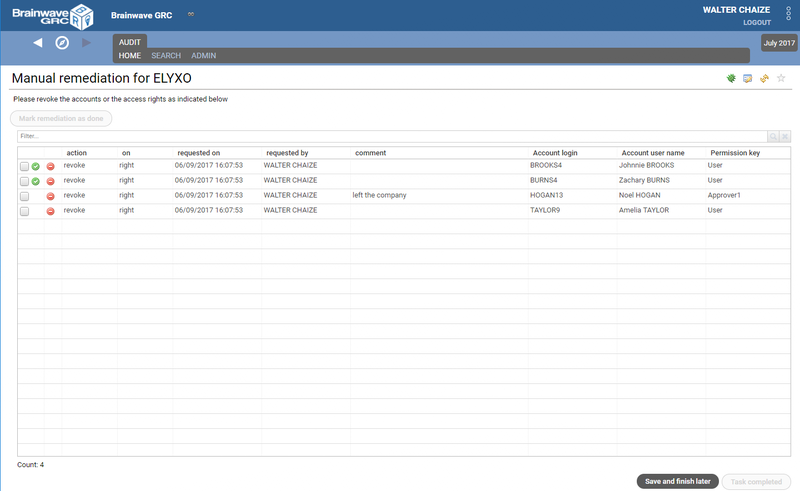 In any case, management interfaces are provided and compliance reports are automatically generated. 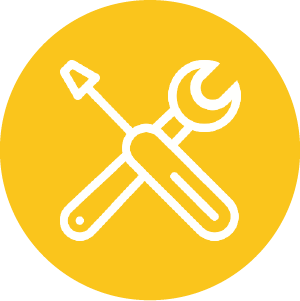 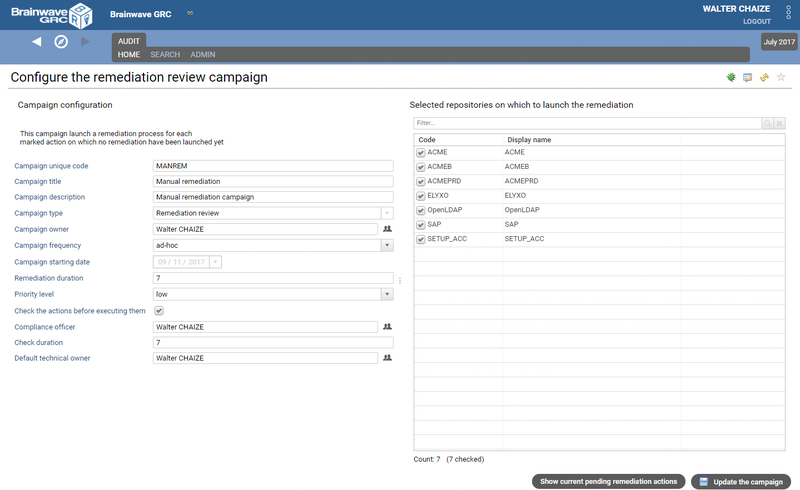 Once the add-on installed, a full documentation is available in the sub-directory librarycontribsbw_remediationreview in your Brainwave GRC project.